After 32 years of waiting, Enugu Rangers won the Nigeria Professional League last month and were rewarded with N40 million by the NFF and League Management Company. 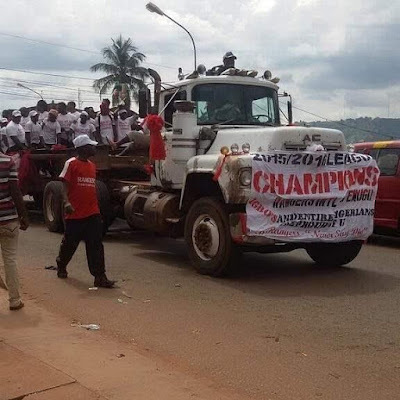 However, there was outrage on social media when the team had a trophy parade on Oct 15 around Enugu main town with an old 'dirty truck'. An apology has now been issued via the team's official twitter account.